With reports of better than average yields for many regions of the Prairies, that means higher than average nutrient uptake and removal. Growers will not have a chance to repeat these canola yields in 2014 without some close attention to soil nutrient reserves and, quite likely, higher fertilizer rates. Fall is a good time to test the soil nutrient situation. As harvest wraps up, we repeat the importance of checking bins. 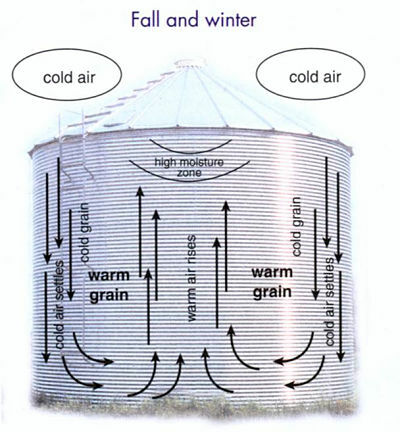 The first 4-6 weeks after harvest are critical times to make sure the temperature has lowered to a safe level (15°C or lower, and stable), and that moisture is adequate for safe long term storage (8% is ideal for canola). Seed shopping? 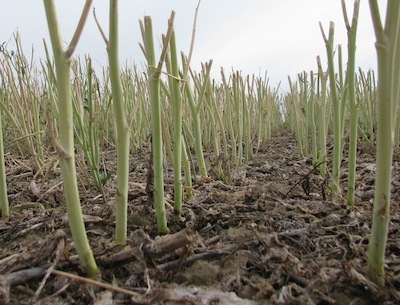 The CCC coordinated Canola Performance Trials again in 2013 to compare variety performance. Data is being collected and processed. Results will be posted at www.canolaperformancetrials.ca and a summary booklet will be mailed with an upcoming Canola Digest magazine. 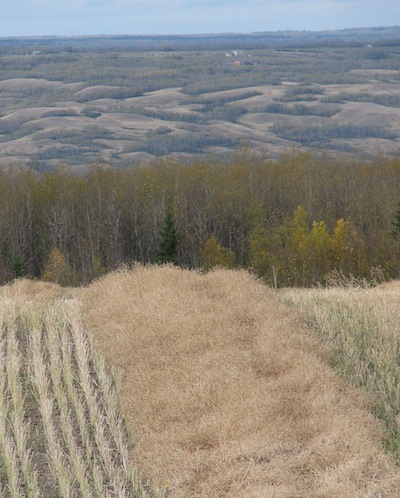 We have ended our weekly in-season Canola Watch reports. Canola Watch will come to you every month through the winter, starting with this October edition. Thank you for making this the best ever year for Canola Watch readership. Please send any comments and suggestions for improvement to Jay Whetter at whetterj@canolacouncil.org. If overall crop yields are 15-20% higher than average, as some forecast, then nutrient depletion is likely to be greater than normal. Standard fertilizer rates may need to be increased as a result, but soil testing will be necessary to confirm. High yielding canola and cereal crops will have drained the soil of a lot of nutrients. Taking good soil samples will help determine how much is left, and how to adjust fertilizer rates for the 2014 crop. Avoid sampling areas that may exaggerate the soil test readings. These areas include low spots, sandy ridges, old yard sites, hilltops, saline areas and old burn piles. If hiring a custom soil sampler, advise or accompany the person taking the samples to be sure those areas are avoided. For growers who want to use elemental sulphur, fall is the time to apply it. 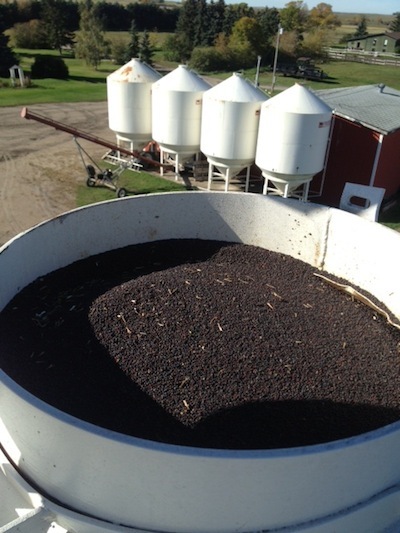 Canola binned hot, even if it has low moisture, low dockage and low green, should still be put on aeration. Target a core temperature of 15°C before stopping the aeration fans, and watch throughout the winter to make sure it doesn’t start to increase. 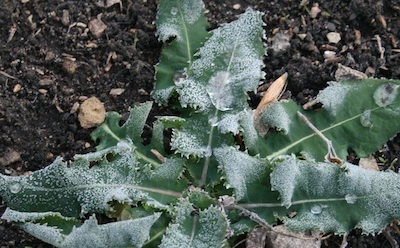 The onset of lower temperatures and shortened days in the fall trigger perennials such as Canada thistle, dandelion and quack grass to start moving sugars to below-ground tissues. Winter annuals and biennial are also doing this, but they don’t need a temperature trigger. Spraying these weeds in fall takes advantage of this downward flow into the below ground buds on the crown or creeping roots of perennials, providing better control for next year. The ideal plant stand is 7 to 14 plants per square foot, and any canola crop with fewer than 5 plants per square foot is not reaching its yield potential. A fall count of stems provides an end-of-season assessment of this year’s stand.